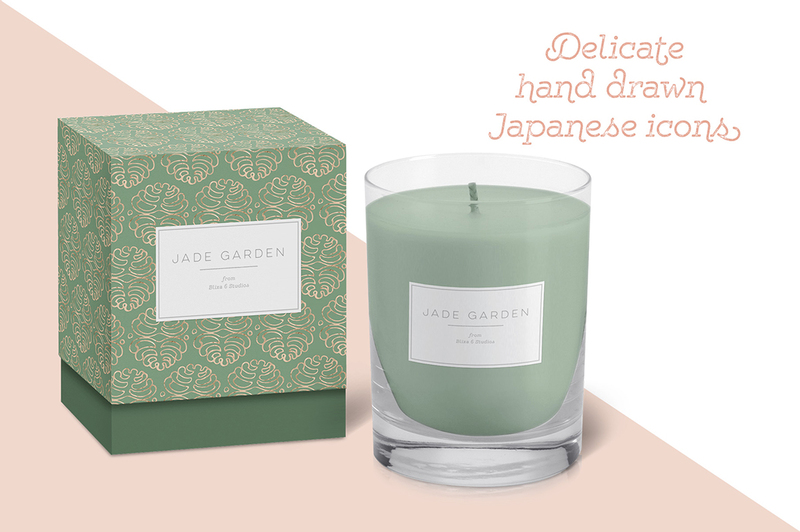 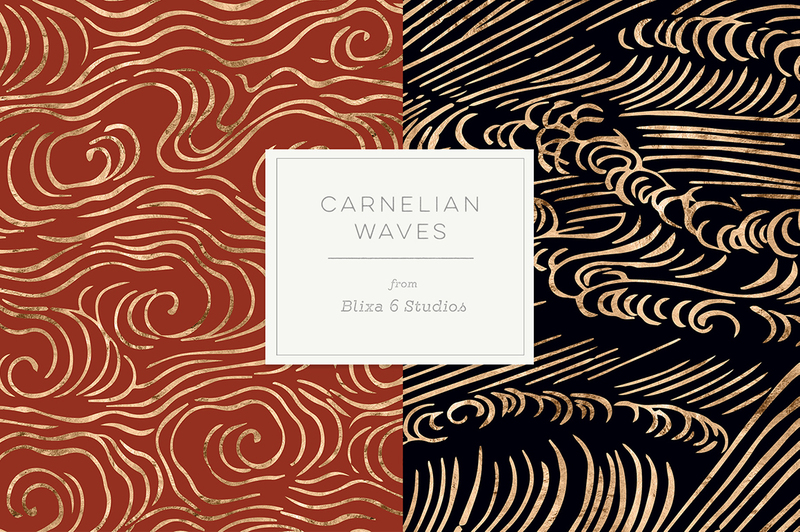 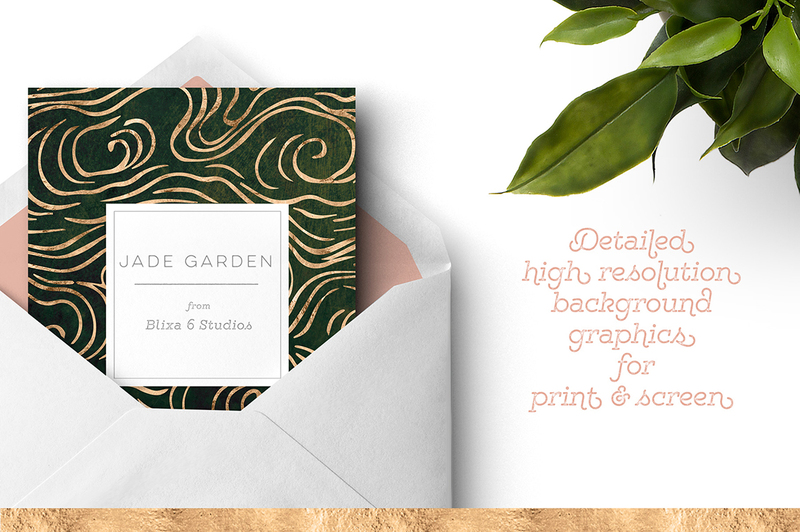 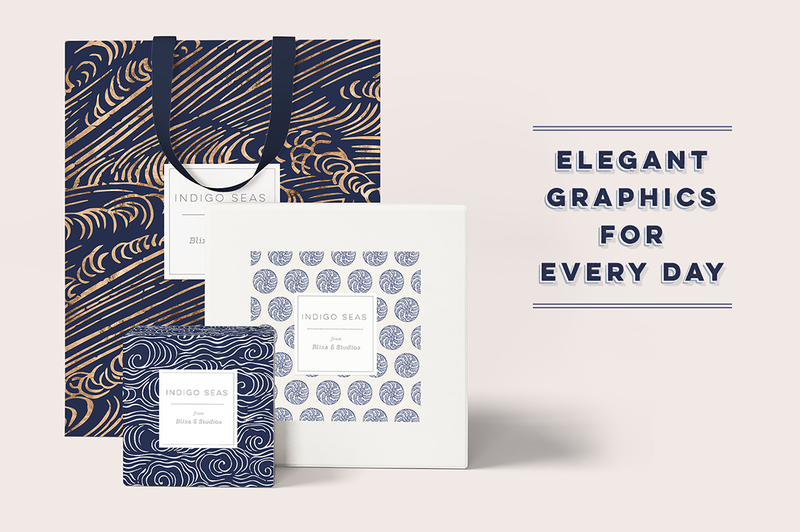 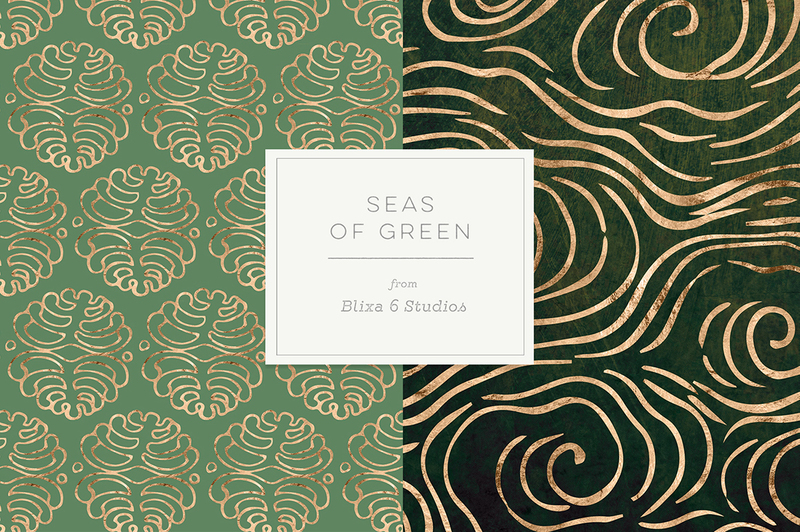 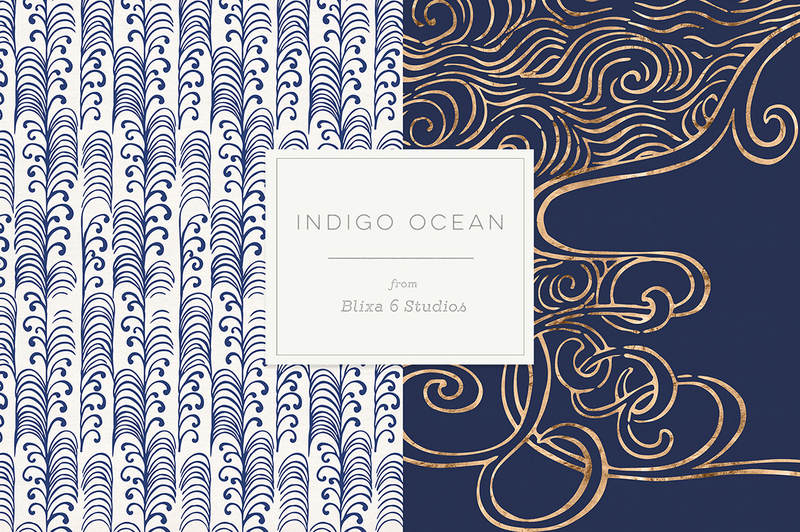 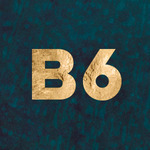 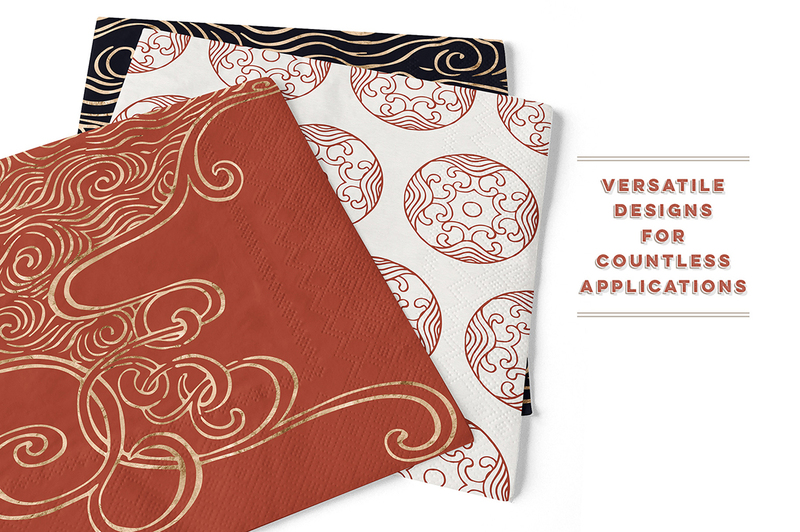 Bring the spirit of Wabi Sabi to your next project with these elegant hand drawn Japanese wave graphics and rose gold icons. 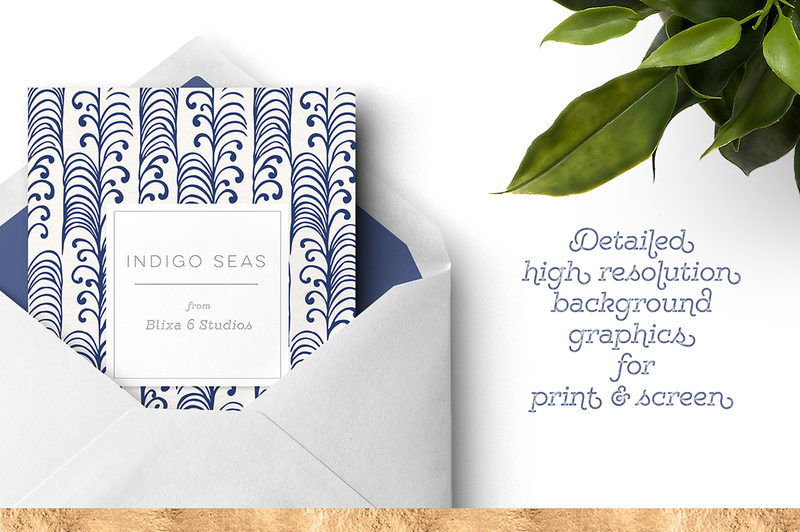 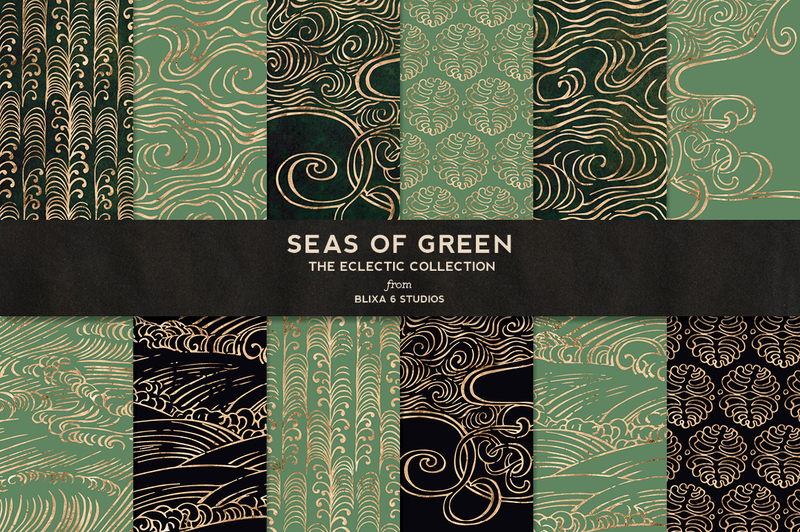 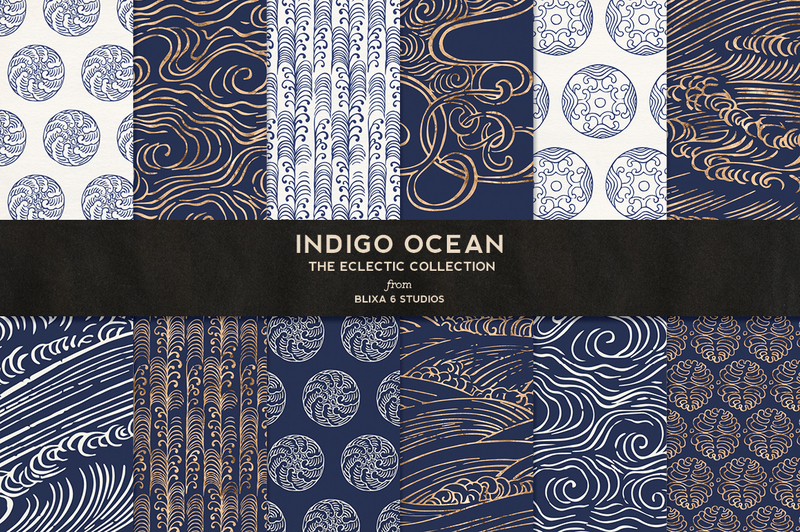 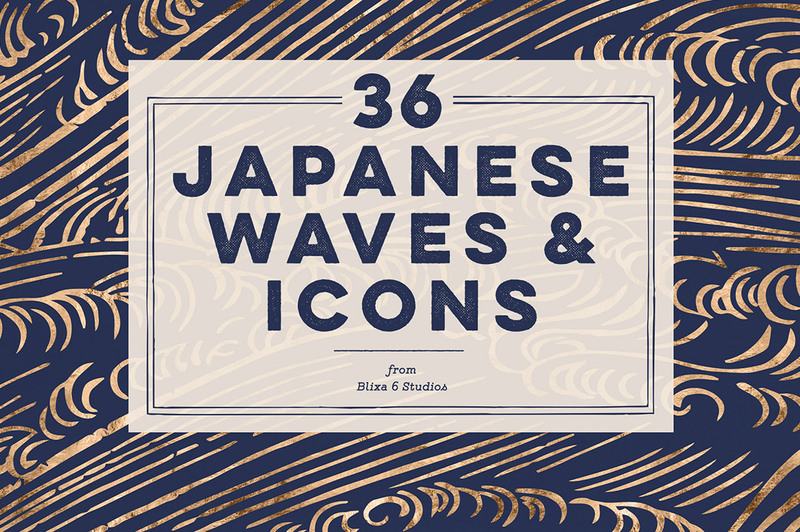 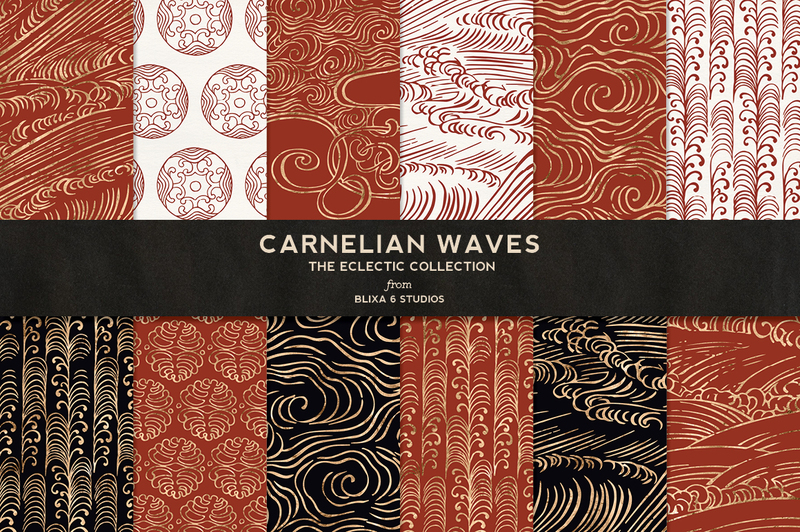 Inspired by ancient Japanese illustrations of waves and traditional emblems, this stunning collection of 36 high resolution wave and icon patterned graphics include versions in indigo blue, oxblood red, jade green and rich black with rose gold metallic foil details. 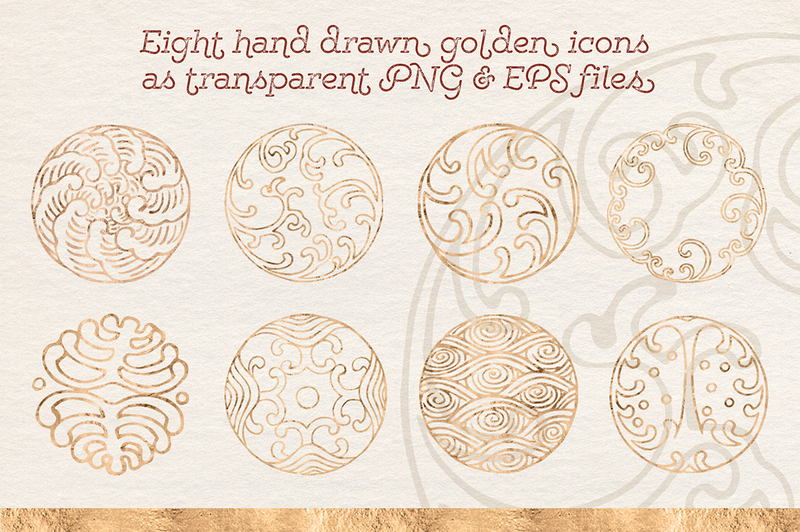 You’ll also get your own set of 8 transparent rose gold icons and the coordinating vectors for all your design needs.